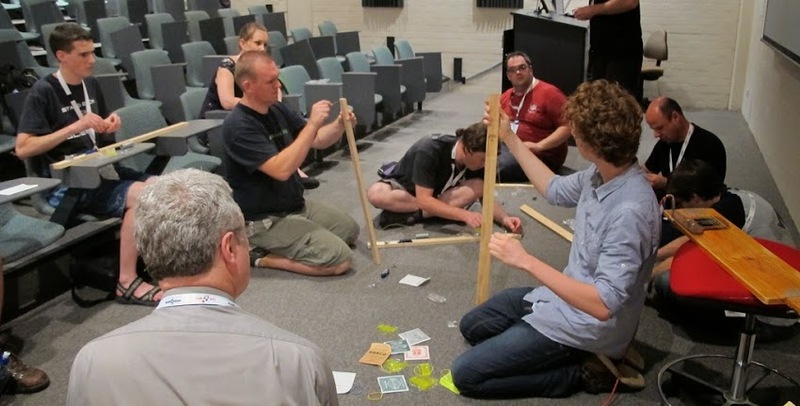 At the 2013 Linux Conference Australia, I gave mini-conf workshop on building simple musical instruments out of everyday parts. I gave each of the participants a plank of wood and a bunch of cheap parts, and by the end of the workshop, I had them all rocking out on their own homebrew slide guitars! Use a thinner gauge string rather than a thicker one. Thicker gauges cause more tension on the eye-screw. Be careful when tuning or handling the string. The string may slip or snap and get you in the eyes!